A couple of weeks ago I had the most frustrating book-buying experience of my life. I might be exaggerating a bit in honor of this series’ main character … or maybe not. 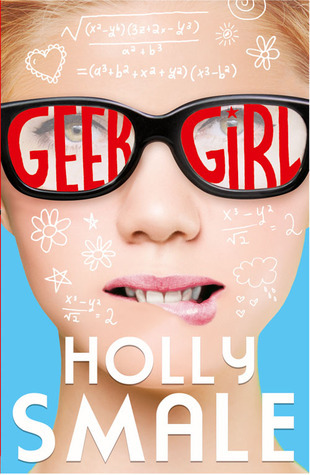 See, I bought GEEK GIRL by Holly Smale at the Scholastic Warehouse Sale. As soon as I finished, I wanted to keep reading, so I checked out books 1.5 and 2 from the library, followed by 2.5 and 3. Then I hit a snag. The library had the novella that went between books four and five but none of the rest of the books. When I put in the suggestion for them to purchase the books, a note came back saying the books were not available for them to buy. What? I’ve had the library deny a request before, but never saying they couldn’t buy a book. And I had to read the rest of this series, so I went on Amazon. I could order book four relatively easily, but books five and six were only available to order from England. (Same on ebay.) Did I mention Holly Smale is a British author? Anyway, I had to pay a premium for these books and wait two weeks to get them. (I’m not a patient person.) And the real kicker was that when I checked on my order two weeks later, Amazon suddenly had the books available on Prime. Argh! Anyway, the books were so worth the wait! And it was interesting to read the British versions, without any of the language Americanized :). I guess I should get on to the review. As Harriet veers from one couture disaster to the next with the help of her overly enthusiastic father and her uber-geeky stalker, Toby, she begins to realize that the world of fashion doesn’t seem to like her any more than the real world did. Here are the five things I loved most about this series. They’re all more likely than Annabel allowing her eight-month-old daughter to start working as a fashion model. 2. The secondary characters – There are so many great characters to choose from–Harriet’s best friend, Nat; her stalker, Toby; her grandmother, Bunty; the models she meets on her travels. Every single character is uniquely and richly drawn. 2.5. The modeling – Yes, I slipped in a half-point. The books had novellas in between, so I’m adding in-between points. The inside look at the modeling industry was fascinating–the crazy shoots, the variety, and the fact that haute couture is nothing like what you see in a regular advertisement. It’s more like art. 3. The humor – It’s only appropriate to put humor after the point about modeling because many of Harriet’s modeling experiences result in situational humor. I found myself laughing out loud during every single book, even as I was shaking my head at Harriet, internally shouting at her to stop what she was doing immediately. Yep. They’re those kind of books–where you just can’t look away from the train wreck the character’s causing. 3.5. The settings – Through the course of six full-length books and three novellas, Harriet travels to Russia, France, Japan, Morocco, the United States, Australia–I’m missing some. And, of course, there’s plenty in and around London as well. Having traveled to a couple of the places she’s written, I felt like I’d traveled there all over again. And I want to visit the others. Fantastic! 4. The parents – I love Harriet’s parents. It’s explained early in the first book that Harriet’s mother died giving birth to her, and her dad remarried when she was young. 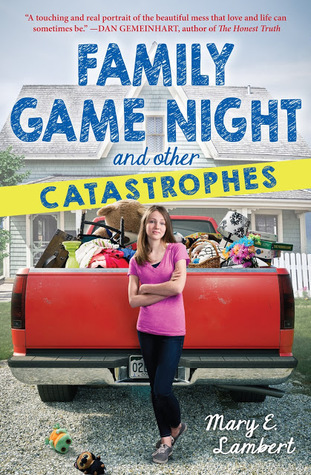 Neither her dad nor her stepmom, Annabel, is perfect, but they are such a realistically drawn family. I loved watching them work through ups and downs through the course of the books. 4.5 Harriet’s growth – Some readers might find Harriet to be an unlikable character. She’s very high-maintence and has few friends as a result. She’s very inside her head and so literal that she constantly misses social cues, but that’s part of what makes her so interesting. During the course of the series, she has to recognize her shortcomings, and there are consequences for them. I liked how she grew up and adapted. 5. The romance – I left this for last because it was by far my favorite part of the whole series. I’m such a sucker for a good romance, and if an author manages to drag it out through this many books? Wow, that’s quite a feat. Let me just say that the fourth book, ALL THAT GLITTERS, broke my heart. I was seriously balling–which is very hard to make me do–and my kids came over and gave me hugs and then wanted to me to explain why. My nine-year-old son didn’t get it, but my seven-year-old daughter understood it was all about LOVE. (This is pretty much the way to make me cry–through relationship drama.) Anyway, I was very satisfied with the way the romance wrapped up. I was smiling at the end :). 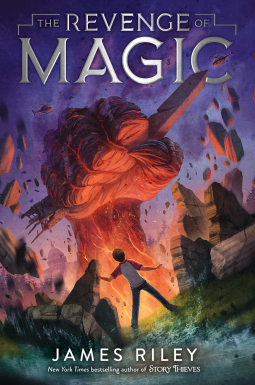 Hopefully I’ve convinced you all to read this series, and I also hope you’ll be able to get your hands on all the books much more easily than I did! With the NESCBWI Conference having happened over the weekend, it seems appropriate for me to review a book by an author I met at last year’s conference. No, I didn’t go again–it’s a bit of a trek for me–but I’m pleased to have found many authors last year whose books I will be picking up as they come out. Ronni Arno is one of those. I thoroughly enjoyed RUBY REINVENTED, and her second book, DEAR POPPY, is equally delightful. When twelve-year-old Poppy moves to the country, she discovers a secret stash of letters that give her a unique connection to her late mother in this M!X novel about friendship, first crushes, and family drama. City girl Poppy has always wanted a best friend, but never felt enough of a connection with anyone to gain BFF status. Even without a BFF, Poppy is horrified when her father decides to move her and her older brother out to the family farm. Away from her beloved city and away from memories of her late mom—a fresh start for everyone. And after a weird first week at her new school, Poppy is convinced she is destined for a boring year—until she finds a stack of letters from 1985 hidden in the barn of the old farmhouse that they move into. Even better? Those letters are addressed to Poppy…from her mom. Poppy doesn’t know what supernatural event brought these letters to her, but she doesn’t care. All she knows is that she finally has the connection she yearns for. Plus, her mom seems to understand everything that Poppy is going through: not quite fitting in, the desire to put down roots, and the heartbreak of losing a loved one. 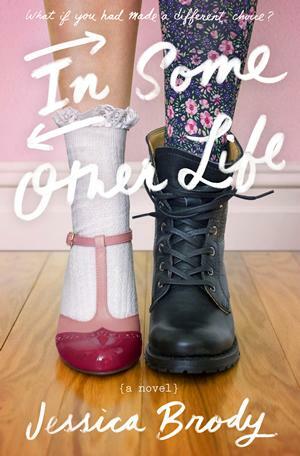 Has Poppy discovered the friend—and acceptance—she’s always wanted? 1. The opening – The contrast of the first two sentences immediately drew me in, so I’m going to share them here. I think they not only show you a lot about both Poppy and her brother, but they also demonstrate something about the nature of grief, which is a theme in the book. My brother is smiling so hard I think his cheeks are pinned to his ears. This would be fine, of course, if we weren’t at my grandad’s funeral. 2. Poppy’s dad – I love how Poppy’s relationship with her dad changes throughout the book, as he transforms from Old Dad to New Dad (also love that she makes that distinction). It’s a tough lesson that sometimes parents take a long time to come out of their grief, but it’s a true one. 4. Britt and Brody – I love how there is so much depth to these two characters. You see the surface of the cute popular boy who doesn’t like confrontation and the rebel outcast who’s all about trouble, but when they’re at home the twins have a lot of the same interests–including Poppy and gardening. 5. The resolution – Poppy has a very clear idea of why she’s in the country and how everything should turn out. As a reader, I had a different idea of where the story was headed. I won’t tell you who was right, just that the ending was very satisfying :). 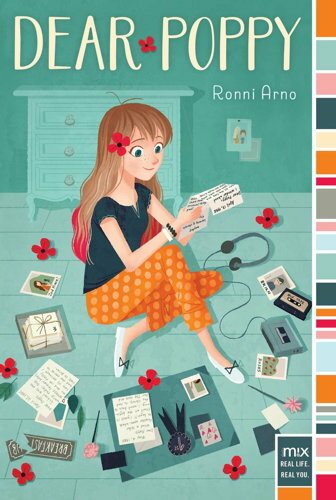 I will definitely be picking up Ronni Arno’s next book. Actually, the next one on her site is an anthology featuring another favorite author of mine, Jen Malone. Looking forward to BEST. NIGHT. EVER!